Daniel Fletcher has worked across all facets of the entertainment industry. He most recently appeared as Big Jule in GUYS AND DOLLS for the Mill at Sonning. He has played principle roles in many international productions including: THE ROCKY HORROR SHOW (Eddie/Dr Scott)European tour, PRISCILLA QUEEN OF THE DESERT (Bob) Norwegian Creative/Europe, WE WILL ROCK YOU (Britney) Australia/Japan tours, FAME THE MUSICAL (Nick/Mr Myers) Australia/Asia tours. Daniel has performed the iconic role of Elwood Blues in BLUES BROTHERS APPROVED all over the world to critical acclaim in as many as 250 different theatres and stadiums right across The UK, Europe, the USA, South America, and Istanbul. Highlights included a residency in Chicago, the birthplace of The Blues Brothers and home of the classic film, and sellout performances at the Orpheum Theatre on the legendary Beale Street in Memphis! He was part of UK premier cast of MIRACLE ON 34th STREET (Fred Gaily), and has clocked up over 1000 shows as Dennis Dupree in ROCK OF AGES, having performed in the West End, original UK touring cast, and two further American casts. Other credits include: THE ALL NEW ORIGINAL TRIBUTE TO THE BLUES BROTHERS (Elwood) Uk/European tour, PETER PAN – A MUSICAL(Cookson) Leicester Curve, LITTLE ME (Lucky Malone) The Production Company, THE 25TH ANNUAL PUTNAM COUNTY SPELLING BEE (Chip/Coneybear) Sydney Theatre Company, TWELFTH NIGHT(Andrew Aguecheek) Essential Theatre Company, A MIDSUMMER NIGHTS DREAM (Bottom) ROMEO AND JULIET (Romeo) MACBETH (Macduff/Porter) MERCHANT OF VENICE (Antonio) all for Complete Works Theatre Company, GIRLS NIGHT OUT (Tony) Australian tour, VAUDEVILLE X (Man 2) Melbourne international Comedy Festival. Workshops: PRISCILLA QUEEN OF THE DESERT, Melbourne Theatre Company, CARNARBY STREET, Churchill Theatre, CATCH ME IF YOU CAN, ATG, THE BLACK BALLOON,The Bush Theatre. TV & Film: Neighbours, Blue Healers, The Big Byte (pilot) Seasons (pilot), Inanimate Objects. 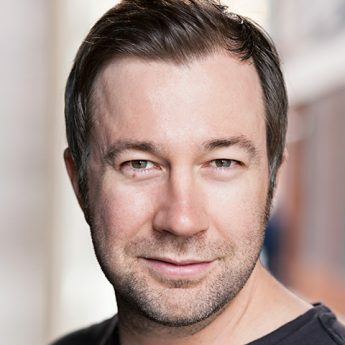 As a sought after voice actor, Daniels voice can be heard everywhere, from creating a fully digitised version of his voice for text to speech integration for Acapela Group Sweden, to commercials for Budweiser, Fosters, Microsoft and Holden to name just a few. Other work includes BBC Radio plays/The Verb, voice cast for Xenoblade Chronicles for Nintendo, and Main voice cast for the cartoon series Captain Flinn and the Pirate Dinosaurs, The Berry Bees (Telegael) , and Captain Virat- The Victory Star. (Toonz).